Michele concentrates her practice on product liability and general business litigation. Serving as national product liability counsel for one of the world’s largest airbag electronic component suppliers. Acting as lead counsel in cases pending throughout the United States involving occupant restraint systems, seat systems, accelerator systems, and steering and stability systems for car or truck manufacturers and component suppliers. Serving as lead counsel in product liability cases involving light-rail systems, electrical control panels and transformers. Michele has tried cases in state and federal courts and represented a client in international arbitration before the International Chamber of Commerce (ICC) Court of Arbitration. She also has argued appeals in state courts. In her business litigation practice, Michele has negotiated various complex contracts on behalf of her clients and acted as lead counsel in cases involving breach of contract allegations. She has also represented employers in employment litigation lawsuits involving retaliatory discharge claims. 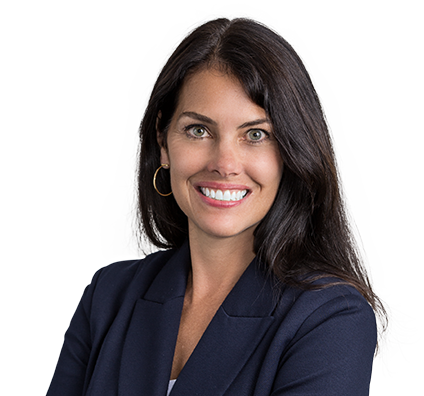 Michele’s international experience involves application of various treaties and jurisdictional challenges and defending foreign-based manufacturers against product liability allegations in the United States. She frequently serves clients in Germany and has participated in an international arbitration in Hong Kong and negotiated contracts in South Korea. Michele is the leader of the firm’s Toxic Tort and Product Liability group. Defended airbag electronic component supplier in lawsuit in Minnesota state court. Plaintiffs alleged deployment of airbag rendered their son a ventilator-dependent quadriplegic and claimed various defects relating to airbag system. After deposing the plaintiffs’ primary liability expert, plaintiffs dismissed client. Defended contractor in lawsuit in which Texas Medical Center, four of its member institutions and Thermal Energy Corp. filed suit against the Metropolitan Transit Authority of Harris County alleging that stray electrical voltage leaked from a rail line of the Houston transit system. Client was one of the contractors hired to construct the light-rail system. Summary judgment was granted in favor of client. Defended a leading automation technology client in two product liability cases in Colorado state court. Plaintiffs alleged permanent injuries from a malfunction of a high-rise escalator at Coors Field when the escalator began speeding. The client supplied a component of the escalator, which the elevator inspector’s report concluded caused the malfunction. Developed testimony and other evidence that client’s component had nothing to do with the malfunction of the escalator. After depositions of plaintiffs’ expert and the elevator inspector, plaintiffs dismissed client from both cases with prejudice. Represented a Japanese automaker when plaintiffs alleged the driver’s seat system in the car was defective and caused plaintiff’s permanent back injuries during an accident. Plaintiffs claimed more than $750,000 in damages. The jury returned a defense verdict. Defended a product liability claim involving allegations that a light-rail vehicle was defective because of an insufficient horn and bell warning system; plaintiff was hit by light rail vehicle and was injured. Court granted motion for summary judgment because client complied with specifications provided by the local public transportation provider, a co-defendant.